1. 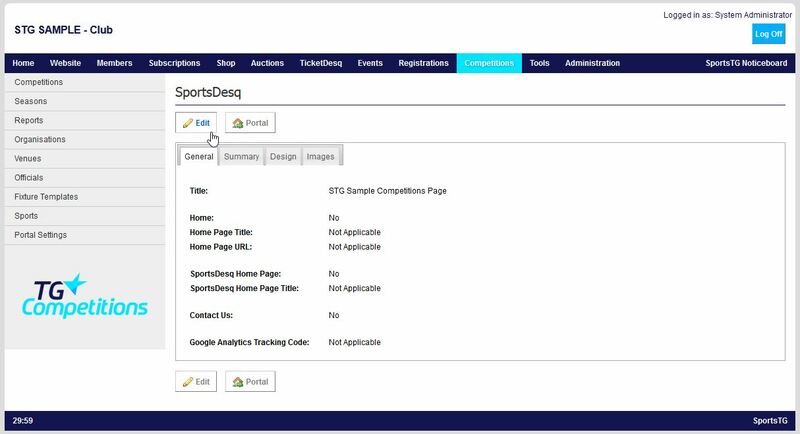 Within the Management Console, select Competitions from the top menu, then click Portal Settings from the left side menu. Select which Menu Options display on your Sports Portal, and customise the titles of each page. The Summary will display on the front page of your Members Portal, providing members information about your membership offerings before they register or renew. The Design tab allows you to select the Theme you would like to use for your Portal. This can be set up in Tools / Themes.